Large view. Small price. Escape in the new InspironTM 17 laptop’s spacious Hi-def 17.3" display, customizable features and desktop-level performance. See more with the 17.3" display and 16:9 aspect ratio. Bring your screen to life with ATI Mobility RadeonTM graphics. Stretch out your fingers on the built-in number pad. Don’t let the screen fool you — the Inspiron 17 is no desktop. So go ahead and enjoy its mobile features, like staying connected even when you’re only moving from room to room. Get amazing wireless connectivity with standard 802.11g and optional Bluetooth® wireless options as well as optional 802.11n to utilize all your WiFi capabilities. Take advantage of a wide range of high-capacity hard drive options with up to 500GB* to store your personal files, digital music, photos or video clips. Plus, enjoy a fast access time of up to 5400 RPM. With up to Intel® Core® 2 Duo options available, your needs are met — even with all that multitasking. And when combined with the optional 9-cell battery coming soon, there’s little need to search for an outlet when you’re on the go. The Inspiron 17’s rounded edges and clean lines are easy on the eyes. And available with seven vibrant colors to choose from on the outside, and a modern silver palmrest on the inside, it’ll reflect your personal touch. 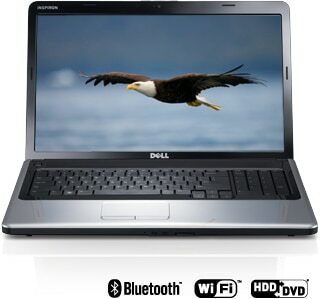 Get a broader view of your media with the Inspiron 17 and its fun features and options. 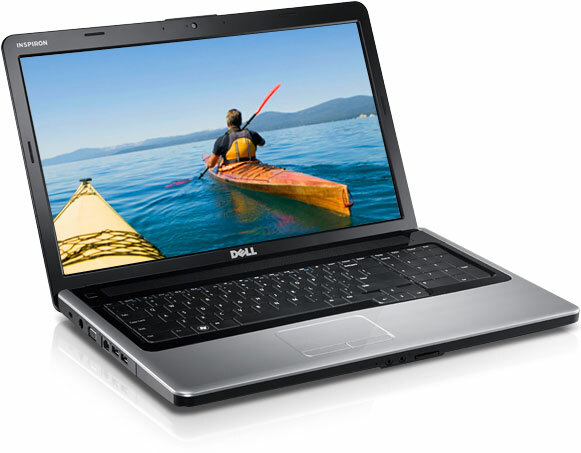 The Inspiron 17 features a 17.3" widescreen LED display with a 16:9 aspect ratio. So you get the big-screen performance of a desktop without compromising your freedom. Add the optional Blu-ray DiscTM drive and enjoy a portable Hi-def theater at your fingertips. With all the latest features, the ATI Mobility RadeonTM graphics card takes the Inspiron 17’s Hi-def experience to new levels. And with 256MB* of dedicated graphics memory, you’ll be off without a hitch. Capture life as you live it — then use the 7:1 media card reader to share it with the world. The media card reader can read up to 7 different digital media cards.